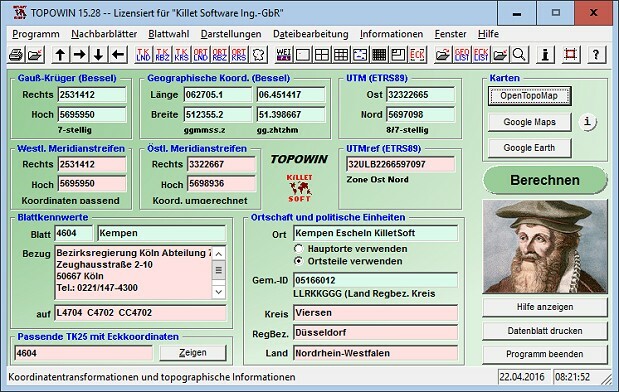 TOPOWIN is a topographic information system and country-wide register of the German Topographic Cartographies, the German Basic Cartography and of localities with georeferences in different Coordinate Systems. All databases actualized on 1st. January 2019. Territorial Reform in Thuringia from 1.1.2019 taken into account. View of maps in OpenTopoMap, Google Maps, Google Earth. All map views supplemented with UTM edge coordinates. Output of window contents in GIF and BMP files. 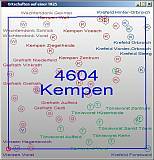 In cooperation with many land surveying authorities of the German Federal States first in 1991 in the previous version TOPO (for DOS) and later in TOPOWIN nationwide topographic information data has been collected for data technological evaluations. 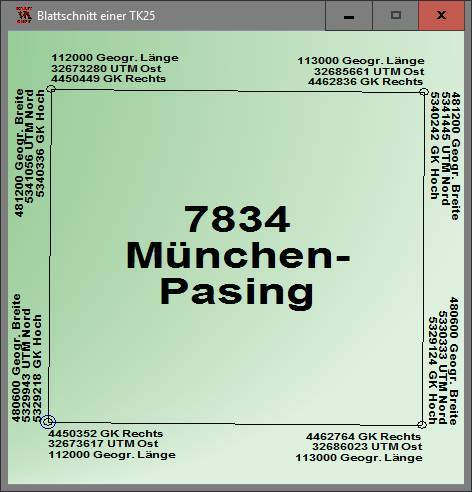 Meantime TOPOWIN is a nationwide register and Topographic Information System of the Official Topographic Cartographies, the Basic Cartograpies and other map series of Germany as well as of localities with georeferences in different Coordinate Systems. The program assists the planning and execution of economical and scientific projects that require topographic information. The program is for consulting engineers, planning authorities and users of topographic maps a useful and versatile tool. A special feature of the program is determining the sheet corners in UTM / ETRS89 coordinates. The topographical maps of different standards, required for a project, can be determined by the complaint of known parameters or by the direct selection from overview graphics and from sorted lists. By the investigation of topographical records on the basis of known places, a data base with more then 125.000 localities and residential districts is available. 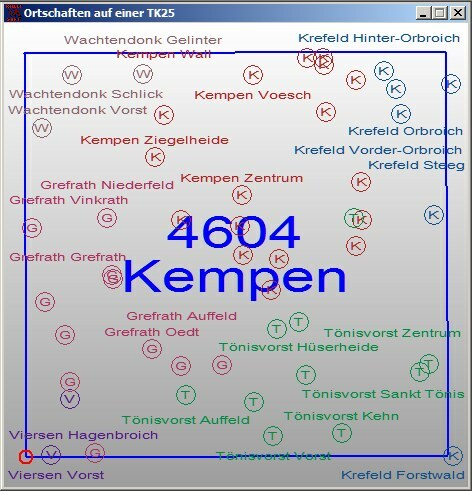 The program TOPOWIN calculates with Gauss Krueger coordinates and Geographic Coordinates referring to the Potsdam Datum (Bessel ellipsoid with central point Rauenberg). 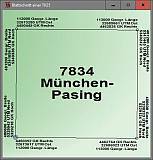 It also works with UTM coordinates and UTMRef coordinates in the NATO standard, which refer to the datum ETRS89 (GRS80 / WGS84, geocentric). After entering the following information are available graphically prepared on separate windows. In all views, the current location is entered. TOPOWIN is suitable for editing ASCII control files that contain known search criteria (various coordinates, map names or numbers of the TK25, TK50, TK100 or TKÜ200, locations, community keys, object descriptions). After selecting the parameters or corner coordinates to be calculated (see list above), these are determined and written to an ASCII output file. This program function is well suited for extensive coordinate transformations and for the determination of map characteristics and corner coordinates. To create the control files and to display the output files, TOPOWIN contains appropriate editors. The input and output files can be created or edited with all text editors and with almost all word processing programs. TOPOWIN can be run on most common networks. The client installations works automatically. It is possible to use Terminal Services on WINDOWS Servers like e.g. "Citrix Terminal Server". Because the program TOPOWIN is a quite complex database application, some requirements to the hardware are to be fulfilled for its perfect working. To ensure stable performance it should be installed on a personal computer with the processor class Pentium or higher and at least 32 MB RAM available. The program will run under Microsoft WINDOWS 2000 / XP / NT / Vista / 7 / 8 / 10 and compatible operating systems. Pricing and ordering information can be found in the Price list. For available licensing options have a look to the License page. Order the program with the electronic Order Form. 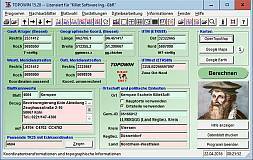 The free test version of the program with a detailed user manual can be downloaded as ZIP packed file by the Internet. For unpacking the download file you need an unzip program, which you can download from this side.